Hamlet officials say 30 to 50 vehicles are driving the highway each day to the N.W.T. community of 900. 'We are getting an unbelievable amount of people,' says the mayor. 30 to 50 vehicles a day are driving the new all-season road to Tuktoyaktuk, N.W.T. 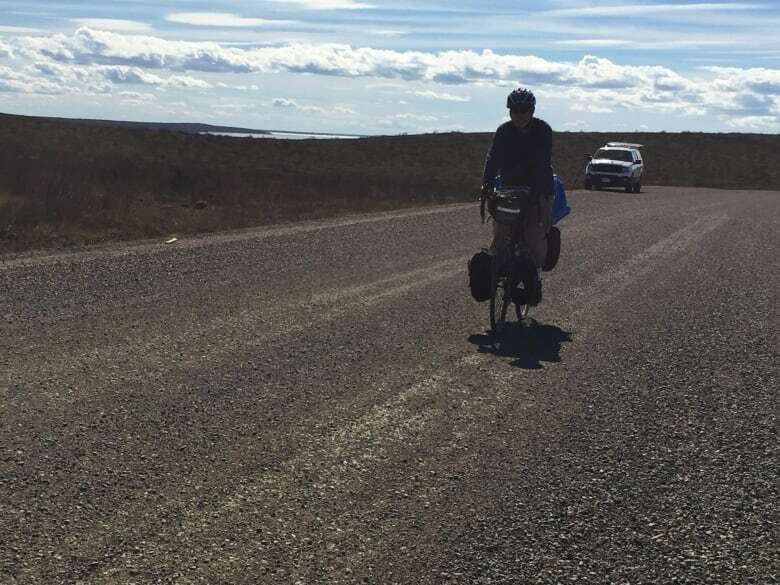 Driving along the Inuvik Tuktoyaktuk Highway there are campers, cars and packs of motorcycles zooming by every day on their way to the hamlet of Tuktoyaktuk. Thanks to the new all-season highway, which opened in November, visitors can finally drive to the Arctic Ocean in the summer. Hamlet officials said 30 to 50 vehicles are driving the highway each day to the Northwest Territories community of about 900 people. 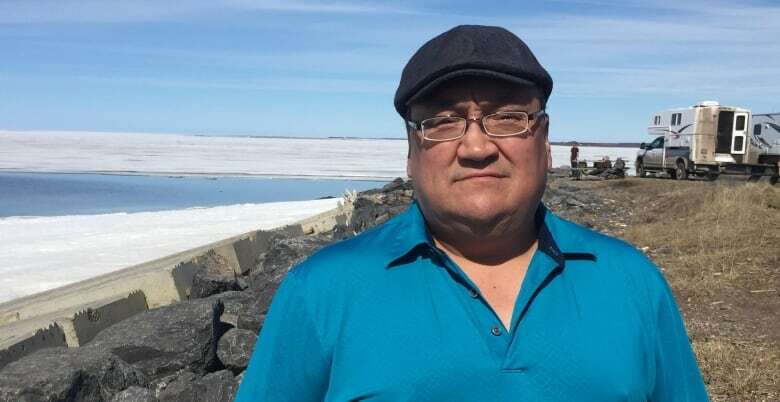 "We are getting an unbelievable amount of people," said Tuktoyaktuk Mayor Merven Gruben. "I never expected this big of [a] turnout." Quoting the town's economic development officer, he said they could see up to 10,000 people visit this year. It hasn't all been smooth sailing. The highway was closed for about a month this spring, due to muddy and swampy conditions. 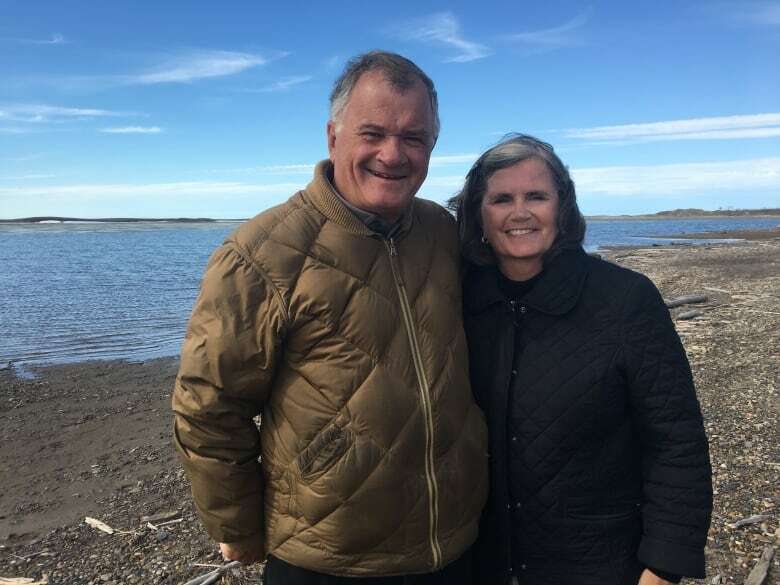 But if you needed proof that the tiny, once isolated hamlet has been forever changed since the road opened, all you need to do is head to 'The Point,' an area in the north end of Tuktoyaktuk. That's where tourists have set up their RVs and tents, and where many will head to dip their toes into the Arctic Ocean, or do a polar plunge. There are picnic tables and restrooms, but Gruben said they have plans for more to come. "The infrastructure is not ready," he said. "We don't have campgrounds and RV parks, but we are more than willing to take the people in regardless." The area has also become a place for locals to mingle with tourists, and sell products, such as fish or crafts. "The word around town is if you want to sell anything, you go to The Point." said Joe Nasogaluak, a local artist. "It's a good thing for the community. It's a good thing for the young people especially." 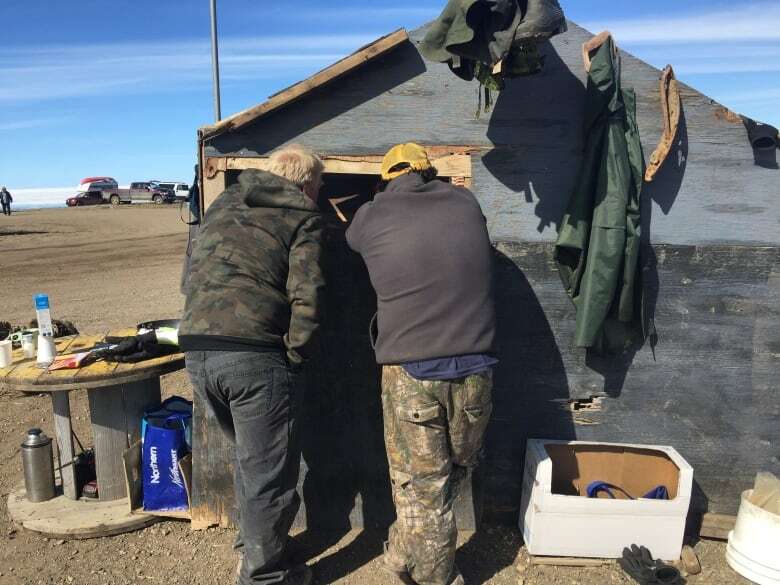 Nasogaluak said the road has made it easier for Tuktoyaktuk residents to travel in the summer, and it has also brought opportunity. He's had people commissioning some of his artwork. "If the road wasn't there, we wouldn't get that," said Nasogaluak. As Inuvik-Tuktoyaktuk Highway opens, will the $300M price tag be worth it? Tourists heading to the hamlet can stay the night at one of a handful of bed and breakfasts or at the End of the Road Inn. The seven-room inn also includes a convenience store, and in May they opened a sit-down restaurant — the first in the community since 2007. The inn's manager, Ken Lindholm, said their rooms have been booked solid. "I've got bookings right through to September," said Lindholm. 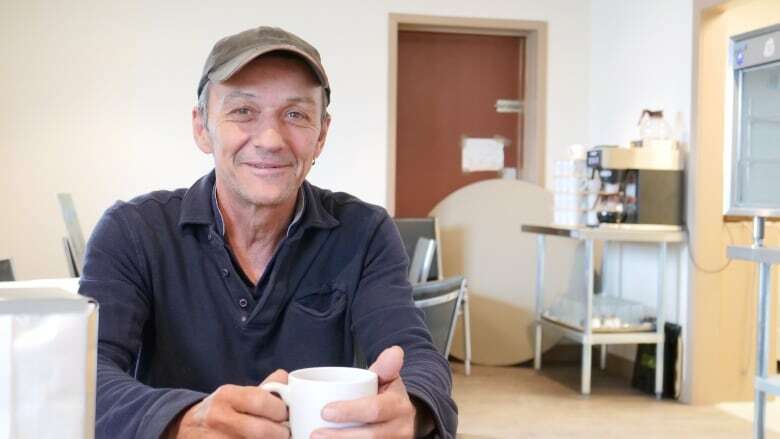 He said they get multiple phone calls a day from people looking for somewhere to stay, and he's been meeting tourists from all over the world. The impact of the Inuvik Tuktoyaktuk Highway is undeniable, he said. "It's not just a local event anymore. It's become a worldwide event," he said. "There is a lot of people getting opportunities that they never would've gotten without the road." Many Canadians are also heading to Tuktoyaktuk, excited to explore their own backyard. Barbara and Jeff Mitchell, a retired couple from Ontario, have been driving their RV across Canada, and headed to the Yukon and Northwest Territories this summer with their family. 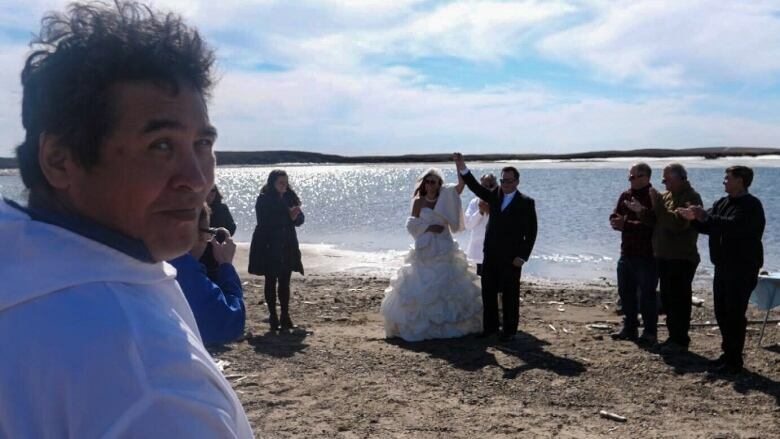 Their plan to travel to Tuktoyaktuk was the inspiration for their son's destination wedding earlier this summer. "We've had a good time. We love the culture and learning the culture," Jeff Mitchell said. "People up here are very open and they want to tell you about their life and their beginning and everything, and we just want to learn more about history. So that's why we like coming and doing this." Tuktoyaktuk isn't the only community benefiting from the road. Minerva Ward, the regional tourism development officer for the Beaufort Delta, said "products have been flying off the walls" at craft stores in Inuvik. According to Ward, last year 1,134 people visited the Inuvik visitor centre in May and June; this year that number went up to 2,219. This summer they are averaging more than 500 visitors a week. For Tuktoyaktuk community members, they said the road has been life changing. "It's the best thing that happened to me in my lifetime. It's the best thing that's happened for our kids," said artist Nasogaluak, who added that they're no longer isolated. "We work hard to keep our tradition going, and to keep it going you need an audience, and with the road we have an audience."